Rules Guy: Can I adjust poorly placed tee markers before a tournament begins? The Rules of Golf are tricky! Thankfully, we’ve got the guru. Our Rules Guy knows the book front to back. Got a question? He’s got all the answers. If you notice that tee markers are poorly placed, are you allowed to adjust their position before play begins? Our expert has the answer. 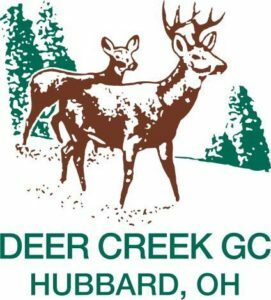 https://i1.wp.com/www.deercreekgolfhubbardoh.com/wp-content/uploads/2019/04/Golf-News-1.jpg?fit=1920%2C1080&ssl=1 1080 1920 Teesnap Developer https://www.deercreekgolfhubbardoh.com/wp-content/uploads/2017/03/0-271x300.jpg Teesnap Developer2019-04-16 08:15:462019-04-01 16:17:14Rules Guy: Can I adjust poorly placed tee markers before a tournament begins? There are four parts to every short-game shot. Failing in any area will almost surely lead to a poor result. You’re the heart of our business!  Here are our Valentine’s Day bonuses to you: https://www.deercreekgolfhubbardoh.com/online-store/. Share so a special friend see’s it! Isn’t it finally time pro golf fixes its slow-play problem? A host of players have defended professional golf from its stigma of slow play. Brooks Koepka isn’t one of them. Pace of play has increasingly become an issue for the sport’s top circuits, and it was in the spotlight again over the weekend thanks to Bryson DeChambeau’s deliberate pre-shot preparation at the Omega Dubai Desert Classic. Both Koepka and DeChambeau are playing in this week’s European Tour event in Saudi Arabia. Speaking on Golf Monthly’s podcast to Michael Weston, Koepka was asked about his thoughts on the criticism DeChambeau and other players have received for slow play. The three-time major winner did not sugarcoat his response. “I just don’t understand how it takes a minute and 20 seconds, a minute and 15 to hit a golf ball; it’s not that hard,” Koepka told Weston. “It’s always between two clubs; there’s a miss short, there’s a miss long. It really drives me nuts especially when it’s a long hitter because you know you’ve got two other guys or at least one guy that’s hitting before you so you can do all your calculations; you should have your numbers. Obviously if you’re the first guy you might take ten extra seconds, but it doesn’t take that long to hit the ball, especially if it’s not blowing 30. If it’s blowing 30 I understand taking a minute and taking some extra time with some gusts, you know changing just slightly, I get that but if it’s a calm day there’s no excuse. DeChambeau separately addressed the issue with reporters, taking a more defensive stance on the matter. DeChambeau partially blames his lack of experience for his measured approach. He says he’s put on the clock “almost every week” but is accustomed to it now. Still, it’s not his intention. Koepka is playing this week with Justin Rose and Henrik Stenson, while DeChambeau is teeing it up with Ian Poulter and Thorbjørn Olesen. https://i1.wp.com/www.deercreekgolfhubbardoh.com/wp-content/uploads/2019/01/2.png?fit=940%2C788&ssl=1 788 940 Teesnap Developer https://www.deercreekgolfhubbardoh.com/wp-content/uploads/2017/03/0-271x300.jpg Teesnap Developer2019-01-29 14:47:502019-01-29 14:47:50Isn't it finally time pro golf fixes its slow-play problem? Tiger Woods makes his 2019 debut at the Farmers Insurance Open this week, his first official PGA Tour appearance since last fall’s triumph at East Lake. Thanks to his successful comeback campaign in 2018, this year’s foray at Torrey Pines doesn’t boast the build-up as Woods’ previous post-surgery starts in La Jolla, the attention shifted to what’s ahead rather than the state of the 43-year-old’s physicality and game. Not to say this tournament lacks hype. If the bookmakers are to be believed, Tiger fans could be in for a treat. Whereas Woods was viewed as a toss-up to make the cut last year, the sharps have circled the 14-time major winner as one of the event favorites, entering at +1200 (only Jon Rahm and Justin Rose have lower odds). That might seem audacious for Woods, given he hasn’t played competitively since the Hero World Challenge. Conversely, the man is no stranger to Torrey Pines, bagging eight professional victories at the property. In honor of Tiger’s first 2019 outing, here are nine wagers, odds and bets from BetDSI Sportsbook to monitor this week. Officially, Woods ended his 2018 on a tear with a runner-up at the PGA Championship, a T-6 at the BMW Championship and his win at the Tour Championship. Unfortunately for Woods, his performance at the Ryder Cup, the made-for-TV match with Phil Mickelson and the Hero were on the opposite end of the spectrum, as Tiger was clearly gassed. Still, with almost two months of rest—coupled with the fact that he’s only missed the cut once at Torrey—”Yes” is an easy call. Woods’ most recent win at Torrey was in 2013; it’s also his only top-20 finish at the event since 2008. We’re not deterring your resolve from rolling with the plus-400…we just don’t endorse it, either. Woods did post seven top-10 finishes in just 18 starts last year, but copy and paste the sentiments from above. Of note, the last time Tiger finished inside the top 10 at Torrey but didn’t win the tournament was 2004. Framed in another fashion: Do you think Woods will make a double on a par 5, triple on par 4 or quad on a par 3? We don’t want to meet the sorry soul that dares to vouch “yes” to any of these items. Last year the North was right in the middle of the pack in course difficulty on tour, coming in at 0.590 strokes under par. Woods shot 71 on the North in 2018; with calm weather in the forecast, expect Woods to break that figure this week. Only four courses (not counting major venues) were tougher in 2018 than the South. If Woods makes the cut, he’ll get three chances on the course, and it’s likely that one of those go-arounds will go, ahem, south. Over is the safe play. It reads 4-3-4 on the card, but this stretch features the fourth, first and second hardest holes on the North. Nevertheless, Woods made it through unscathed last season. The biggest deadlock of the bunch, but we like Woods to replicate last year’s feats. Call your accountant, unload all your stocks, call in whatever monetary favors are outstanding and place all funds on the under. Though Woods’ driving accuracy steadily improved throughout the summer, Torrey Pines flaunts some of the tightest confines on tour. Considering he hit just 21.43 percent of fairways at the Farmers Insurance Open last year, that 56.5 percentage is a pipe dream. Our educated guess says no. But for those adventurous enough to take this wager, parlay it with a top 5 or top 10 finish to get the most bang for your buck. Most of us make New Year’s resolutions and, unfortunately, most of us fail to see them through for all 365 days. If your resolution involved improving your golf game in 2019, here’s a list of things you can do every day/week — even if you’re in the bitter cold like a lot of folks right now — to help you achieve those goals. And, once it warms up in your area, you can take all five of these drills outside. 5. Exercise. Yeah, we know. That’s what we should be doing every day anyway, right? But when it comes to golf, you don’t want to be tight. There are a number of stretches you can do right from your desk while reading emails that will benefit your arms, shoulders, neck, back, hips and legs for golf season. Even better, place one of those handy, elastic, tension bands in the top drawer of your desk. 4. Take 100 swings per day in your house or garage… without a golf ball. The best players in the world visualize the shot they want to hit before they hit it. With a drill like this one, you’re going to be forced to visualize, because there’s no ball there to hit. If you’re able, place a mirror in front of you and pay attention to the positions of your address, takeaway, the top of your swing and impact position as well as follow through. Do it in slow motion. Become an expert on your swing. 3. Work on your chipping. Can’t do it outside? No worries. You can purchase a chipping net, or even put down a hula-hoop as a target. Get a few foam golf balls and a tiny turf mat to hit the balls off of. Will it produce the same feel as a real golf ball? Of course not. But what it will do is force you to focus on a target and repeat the same motion over and over. After a long layoff, “touch,” is the first thing that goes for all golfers. This will help you to work on some semblance of touch all winter long. 2. Practice your putting. Anywhere. All you need is a putter, a golf ball, a flat surface and an object — any object — to putt at. If you’re so inclined, rollout turf can be purchased for around $20 with holes cut out. Since the greens are where you’re going to take most of your strokes, doesn’t it make sense to dial that in whenever possible? It can be fun too. Does your significant other, roommate, or child play? Have regular putting contests. The feel you gain during those sessions may not seem like much, but man will they come in handy when your season begins on the real grass. 1. Make a weekly appointment with your PGA Professional. Even in areas of the country that are suffering through the cruelest of winter conditions, you can always find a place to hit golf balls inside. Contact your local PGA Professional to find out where places like this in your area exist. You might be surprised at all the options you have. Get our 5 round special for just $49! (Regular price $72.50). https://i1.wp.com/www.deercreekgolfhubbardoh.com/wp-content/uploads/2018/11/Irish-Hills-Offers.png?fit=940%2C788&ssl=1 788 940 Teesnap Developer https://www.deercreekgolfhubbardoh.com/wp-content/uploads/2017/03/0-271x300.jpg Teesnap Developer2018-11-28 17:21:242018-11-28 17:21:24Cyber Monday Deal Extended!